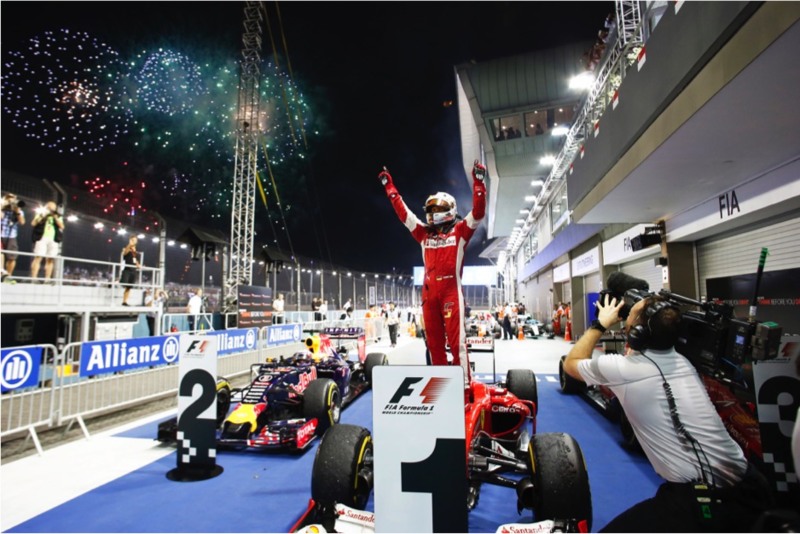 Singapore, 28 September 2015 – Race promoter Singapore GP Pte Ltd has released the sale of early bird tickets for the 2016 FORMULA 1 SINGAPORE AIRLINES SINGAPORE GRAND PRIX, provisionally scheduled to be held from 16 to 18 September 2016. Fans can save up to 28% off regular ticket prices during the early-bird phase. A brand new 3-day Bay Grandstand Hot Tix category has been introduced at the early-bird price of S$368, offering the seats with the best views of the race from the Bay Grandstand. As an added incentive, Hot Tix buyers will also receive S$50 worth of vouchers (which can be redeemed at official Singapore GP merchandise booths and grid bars within the Circuit Park) as well as priority access at Gate 8. To make the FORMULA 1 SINGAPORE GRAND PRIX accessible to as wide an audience, Singapore GP has reduced the early-bird price for the Esplanade Waterfront Grandstand and Zone 1 Walkabout Combination Package by up to 20% as compared to 2015. Fans can now purchase the Esplanade Waterfront Grandstand at S$398 and the Zone 1 Walkabout Combination at S$598 during the early-bird phase. The popular Group Booking Specials allow fans to save even more when they purchase four or more tickets in a single transaction for seven grandstand categories – Pit, Stamford, Padang, Connaught, Esplanade Waterfront, Bay as well as the Bay Grandstand Hot Tix. For greater savings, fans can purchase eight or more tickets in a single transaction to save up to 15% off a single early-bird ticket. Tickets for the 2016 FORMULA 1 SINGAPORE AIRLINES SINGAPORE GRAND PRIX are available for sale via www.singaporegp.sg, via the ticketing hotline +65 6738 6738 as well as all Singapore GP’s authorised agents.